When we last saw our heroes, they had traveled the Old Forest Road and spent several weeks enjoying the sights of Lake-Town (Esgaroth). Upon one fine mid-summer morning they were in the markets, buying traveling gear of fine make. As they were leaving, they chanced to hear a conversation between a dwarf and one of the passers-by. It seems the dwarf, Nár, had traveled to Erabor (the Lonely Mountain) with a great many other dwarves of the Iron Hills after the defeat of Smaug. He left a brother, Svior, in one of the dwarven-towns there and greatly desires to hear news of his people. His job in the mountain smithing-halls prevents him from making the trip himself, but he has prepared a small bundle of gifts for his brother. Caranthir and Halmir (our heroes!) can see that the bundle contains an ordinary-looking axe of dwarf-make and a variety or trinkets and childrens’ toys. I’ve been spending the last few months trying to clear out my game backlog. A few days ago, I finished Company of Heroes, which I had picked up in a Steam sale for some obscenely low price. 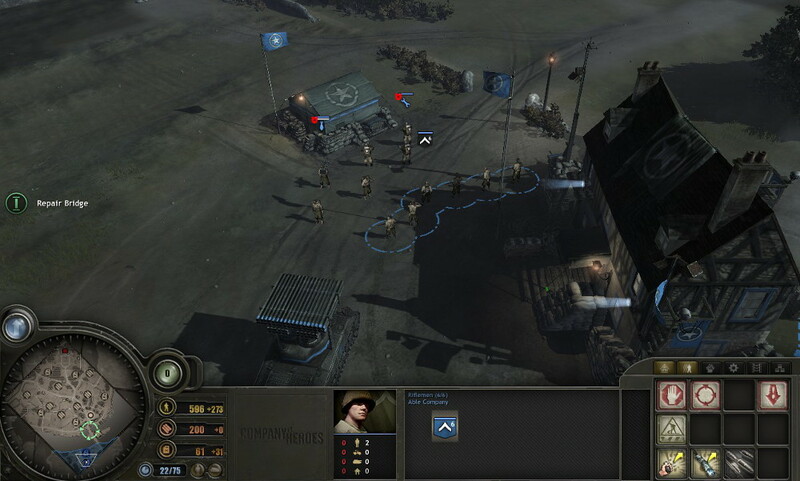 Company of Heroes is a real-time strategy game set in the hotly-contested regions of France following the Normandy Invasion in World War II. Some of my troops standing next to the field command center. This is not a review of the game, or an advertisement for it, though it is great and you should buy it. No, this is about some of the reasons I love RPG’s, using one of my favorite games as an example. It is now time to continue our adventures in tasty-snack-making! This time, I decided to make something I had actually done before, which is baklava. Baklava is actually quite simple to make if you can buy phyllo (or filo, or fillo) dough, though it can still be time-consuming. After long delays, we return to Elite Force 2. Now, we start to see a little more of what the game is like. I apologize for the unreadable subtitles. They look fine in my source video, but Youtube makes a hash of them when I upload. I’m still trying to find a good balance between quality and file size for my uploads. For the people who know me personally, it should come as no big surprise that I love Amateur Radio. I got my General Class license two years ago and I’ve got an MMR-40 in the final stages of construction. So it was with some excitement that I recently got my hands on this antique single-sideband transceiver.